CALIFORNIA YANKEE: Gagarin Was NOT The First "Man In Space"
Gagarin Was NOT The First "Man In Space"
Gagarin was not the first man to fly to space. Three Soviet pilots died in attempts to conquer space before Gagarin's famous space flight, Mikhail Rudenko, senior engineer-experimenter with Experimental Design Office 456 (located in Khimki, in the Moscow region) said on Thursday. According to Rudenko, spacecraft with pilots Ledovskikh, Shaborin and Mitkov at the controls were launched from the Kapustin Yar cosmodrome (in the Astrakhan region) in 1957, 1958 and 1959. "All three pilots died during the flights, and their names were never officially published," Rudenko said. If this is true, and it has to be because it is from Pravda, it should in no way diminish the significance of the Gargarin's successful flight. If Gagarin knew of the deadly attempts by Ledovskikh, Shaborin and Mitkov, we should be even more impressed with Gagarin's courage. Thanks to Glen for the tip. After looking into a handful of the blog posts on your web site, I seriously like your technique of blogging. I added it to my bookmark site list and will be checking back soon. Please visit my web site as well and tell me how you feel. You mean Vladimir Sergeyevich Ilyushin?He died in 2010 in Russia he was never part of the russian space program. 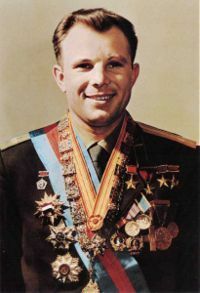 He was a test pilot .And how did the russians bild and manage to launch 4 missions before the flight of Gagarin whit out the knowege of USA .All I see are the claims of a man whit no evidence waht so ever. I vaguely remember a documentory on Discovery with if I remember correctly, a test pilot called Vladamir Irvinski who crashed in China and was kept under wraps for political reasons, Do you know anything of this as I can't find any trace anywhere.